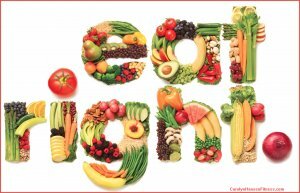 Anyone that is truly seeking health pays attention to what goes into their bodies in regards to nutrients. White sugar quickly becomes a no-no and satisfying their sweet tooth can be a challenge. However, there are a few great sugar substitutes available and raw honey is one of those – it’s a long time family favorite. Humans have enjoyed and indulged in honey for thousands of years. Its consumption dates back to prehistoric cave paintings found in Spain over 8,000 years ago. Recorded in Egyptian, Chinese and Biblical texts, honey was also enjoyed and used medicinally by Native Americans. Used in beverages and foods of all types for its nutritional value, honey has been used as a remedy for everything from burns to intestinal problems. Of course, like other foods, honey comes in differing grades. If you’re really after the super-food nutrient value of honey, steer clear of the processed “heated” kind. Choose high quality raw honey that still retains all of its nutrients, enzymes and medicinal properties. When honey is in this state, it is still a living food offering enzymes that can boost the immune system and digestive functions. Honey contains a wide variety of trace minerals. Iron, calcium, zinc, potassium, phosphorous, magnesium, chromium, copper, manganese, and selenium are critical for insulin sensitivity and, blood sugar balance. Because it is easily digestible, it offers a huge energy boost for the body. 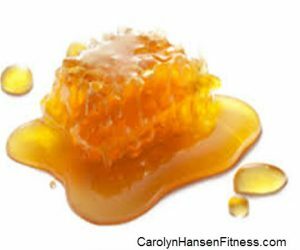 Raw honey is a perfect alternative sweetener but should be used in moderation because of its high glycemic sugar content. Often prescribed at bedtime, raw honey helps promote the release of melatonin, the hormone responsible for the recover and rebuilding of tissue when the body is at rest. In order for honey to be considered real honey by the Food and Drug Administration, it must contain pollen. Unfortunately in the U.S. has a lot of honey being sold that is not real honey. For the most part, honey is not checked so many people buy and consume nutrient-depleted honey. The best thing to do is to buy organic, raw honey from your favorite health food store or health food aisle in your grocers. If there is a local beekeeper in your area that would be the best place by far to purchase your honey. Raw unprocessed honey comes straight from the beehive. It is a potent superfood that provide us with healing enzymes that make us mentally alert and sharpen our IQ. Raw honey or real honey is usually labeled according to the flowers it was obtained from – each offering their own array of nutrients. Flower sources can include wildflowers, clover, buckwheat, alfalfa and or other specialty types. Isn’t it time you began introducing much ignored nutrient-dense super-star ingredients into all your dishes…including your desserts? Elimination diets have been around for a while now. They are a dime a dozen putting focus on food groups that need elimination from your diet. Filled with words like “can’t,” don’t touch,” and “bad for you”…all pointing the fingers in a negative direction. It’s no surprise then that many people “fall off the bandwagon” when trying to improve their eating habits by following such negativity. But just as all things in life change and evolve, so too does healthy eating and there’s a new kid on the block gaining popularity called the “addition diet.” Even the name sounds positive and reflects positive images into our psyches. The “addition diet” represents a real shift in perceptions (a psychological shift) from negatively to positively approaching our diets. It shifts the “can’t” to “can”…a much more empowered way of doing things. Truth is, human beings are curious by nature. If we are told we cannot do something or cannot eat something it seems as though a trigger goes off inside and suddenly we want those things more than ever and that’s when real battle begins. The “addition diet” avoids this negative “dieting” trigger by allowing you to add foods not subtract them. This puts your mind in a different mindset, a healthy, positive mindset…one focused on the positive rather than the negative putting you on a direct path to success. The first thing you need to do before beginning an “addition diet” is to make a list of foods that will be added to your eating plan rather than subtracted from. These foods should be real, natural, whole fresh choices. 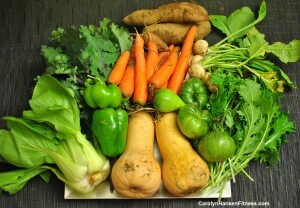 Your goal should still be stellar health and vibrant living and that can only happen with real live food. Here a short list to get you started (this list is only an example and not the end-all). Fruits and Vegetables: Be adventurous and expand your horizons. Mother Earth has provided us a rich bounty. Try some fruits or vegetables that you have not been willing to try before…or possibly some you have not had in a while. Vegetables such as sweet potatoes are perfect choices but why not reach for that Mango you’ve never tried too? Protein: This is another area that you can get adventurous in. Quality proteins include things such as grass fed meats, fresh fish from the ocean and free range poultry and eggs. High quality whey protein powders are also good choices. Healthy fats: Your body needs fat in order to be healthy but we’re talking healthy fats – not bad ones. Coconut oil is one of the perfect fats that can replace some of the “bad fats” that may be lurking in your kitchen cabinets. Nuts and seeds – There are lots of raw nuts and seeds you can add – nutrient-rich and packed full of healthy fats too. The whole idea of an addition diet is to focus on adding foods into your diet that “contribute” to your health balance and by doing so; you automatically “crowd out” the ones that are “subtracting” from your health balance. You don’t have to give up desserts and treats either if you plan and choose the right ingredients – even desserts can be made healthy, nutritious (using veggies and fruits will help you meet your daily requirements too) and good for you! It’s time to make every bite you take count! Some of the best nutrients that nature provides us comes packaged up in small containers. Herbs are some of those things. Offering a fresh from Mother Earth taste to your recipes, herbs are some of the healthiest foods you can eat. Adding character, spice, appeal and health benefits to every dish they are invited to, many of them make the transition from savory to sweet dishes easily with their delicate flavors and aromas. According to Brian Hetrich, a gardening expert and naturopathic doctor at the Hippocrates Healthy Institute “half the nutritional value of plants are lost within thirty minutes of harvesting.” This means that no matter how healthy and appealing they look at the market, they have already lost a great deal of nutrients that nature freely provided. The great thing about most herbs is that they can easily be grown right at home…in a garden or planter. (although they can grow easily in planters, herbs love to spread out too so don’t be afraid to give them room in your garden). This allows us to pick them right as we’re ready to use them taking advantage of all their nutrients and health benefits. Seeds or starter plants easily obtained at any nursery or garden center for a nominal price. Rosemary: Pretty and aromatic, the scent of this herb has been shown to improve memory. It has also been shown to fight cancer cells with its carnosic acid compounds. Frequent watering in full sun. Simply touching it will releasing its unique scent. Thyme: As long as it gets plenty of sunshine, this herb grows well in indoor gardens because its stays relatively small in size. Long known for its antiseptic properties and its success as a remedy for respiratory problems, it is calorie free so you can add it freely to any soup, salad or side dish. Cilantro: This popular staple of both Asian and Mexican cuisines is a great source of fiber and supplies a hefty dose of iron. It helps clear heavy metals from our body by attaching itself to them and drawing them out of the tissues. The seeds of cilantro are the spice known as coriander. Cilantro is a little more challenging to grow in a home garden because it requires deep soil in order to thrive. You can sow the seeds outdoors in the spring and summer and will continue to regrow from seed that drop from harvested plants throughout the growing season. Grown in full sun or light shade. Basil: This popular herb offers a warm and spicy flavor to any dish. It offers a wealth of vitamins including A, K and C as well as magnesium, potassium, iron and calcium. Grown in a sunny locations the seeds can be sown directly into the garden in late spring or started from seed indoors in early spring and transplanted into your garden later on. Basil’s rich minty aroma is a nice addition to any peach dish. Make sure you keep pinching off the flower heads so that the plant will keep throwing out new leaves all season. Dill: This flavorful aromatic herb offers a healthy dose of antioxidants such as beta-carotene. 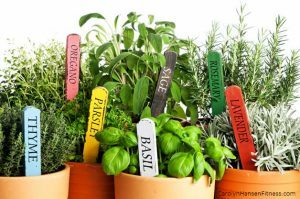 Requiring full sun, this easy to grow herb needs a garden or large post to grow in and soil that is deep but not too dense. Lavender: Lavender is often used as a seasoning for baking. Its distilled oils have been useful and versatile as herbal remedies. Grown by seed indoors and then transplanted outdoors in full sun in early spring, lavender does not tolerate excessive moisture or humidity. Peppermint: This aromatic and tasty herb has talents beyond the kitchen. It is an excellent deterrent for many pests such as rodents, ants and spiders so plant it around your home and garden. Peppermint leaves are a refreshing healthy addition to many beverages and desserts. Grown indoors than transplanted outside they can also be grown directly outdoors. Full sun or partial shade is best. Most veggies and many herbs can be used with great success in desserts and treats and can be key to getting the required daily requirements of nutrients that your body needs. It’s time to step out of your comfort zone, expand beyond your traditional recipes and upgrade them to a more nutritional level – “Blended Bites will help you do just that. Fresh ginger is a spice known botanically as Zingiber officinale. This odd “horn shaped” spice offers a distinctive flavor. It is pungent, spicy and aromatic adding special flavor and zest to many fruit and veggie recipes. Ginger has been prized and used in cultures all over the world for its aromatic, culinary and medicinal properties for at least 2,000 years. 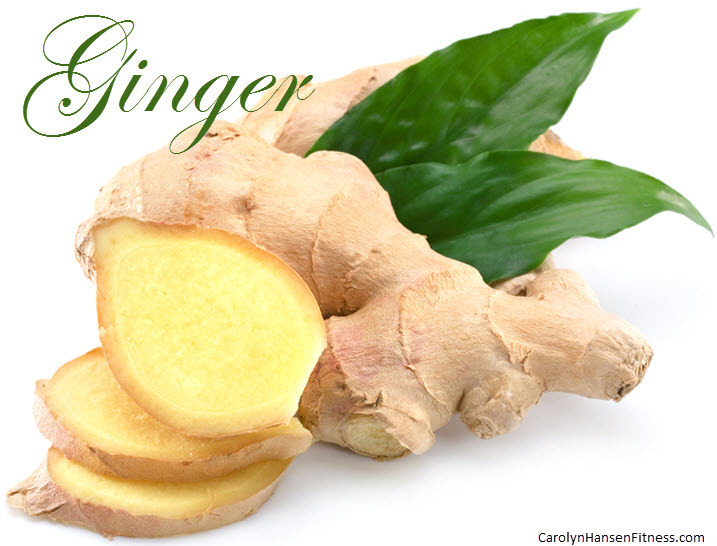 Scientific studies reveal that ginger offers antioxidant effects and other important therapeutic properties. It has been known for centuries as a very effective solution to symptoms of gastrointestinal distress. 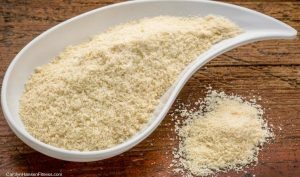 In fact, ginger is regarded as an excellent spice for promoting the elimination of intestinal gas as well as offering the ability to relax and sooth the intestinal tract. Ginger has also proven very effective in preventing symptoms of motion sickness and even beats out Dramamine (an over the counter motion sickness drug) in effectiveness. All symptoms associated with motion sickness including vomiting, cold sweats, nausea and dizziness are effectively reduced with ginger. 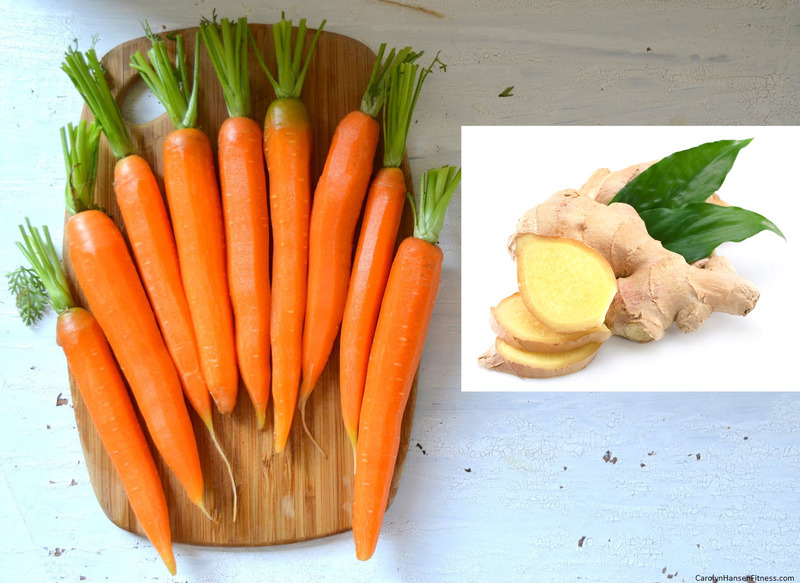 This odd looking but zesty spice offers potent anti-inflammatory compounds called gingerols – the component responsible for ginger’s distinctive flavor. Research shows that gingerols may also inhibit the growth of human colorectal cancer cells and has proven effective in reducing pain levels and improving mobility in those that suffer with osteoarthritis or rheumatoid arthritis. Because ginger is extremely safe to use and only requires a small dose, it has even been used to reduce nausea and vomiting in pregnant women and proven effective for those suffering with migraine head-aches. Depending on the variety chosen, ginger can be white, yellow or red in color and covered with a thin or thick (depending on when it was harvested – mature or young) brownish skin. The active substances in ginger are very concentrated so it does not take much to receive its beneficial effects. Fresh ginger is far superior in flavor to dried ginger and contains higher levels of gingerols. Mature ginger (more readily available than its younger counterpart) is readily available year around in the produce section of your favorite grocery store or super-market. It has a tougher skin than young ginger so it must be peeled before use. Once peeled it will last up to 3 weeks refrigerated while unpeeled ginger can last as long as 6 months. Be sure to choose ginger that is firm, smooth and mold free. Ginger is so versatile that you may also find it in crystallized, candied or pickled form. Put all ingredients except for the honey into a food processor and process until roughly chopped but still with some texture. Add honey and process just long enough for it to blend. Press into a dish or on a plate about ¾ inch thick and refrigerate for about an hour or more. 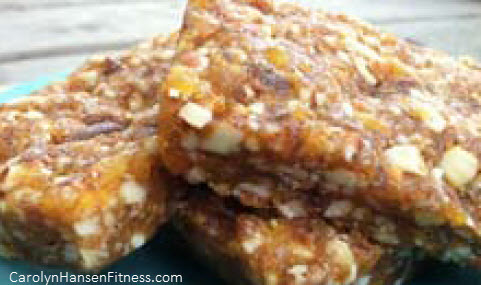 Cut into squares or any shape and enjoy! Most veggies and many herbs and spices can be used with great success in desserts and treats and can be key to getting the required daily requirements of nutrients that your body needs. If you are ready to expand beyond your traditional recipes and upgrade them to a more nutrient dense level you will love my newest creation…“Blended Bites. The cacao bean is the source of both cacao powder and cocoa powder. However, if you are looking for the purest form of chocolate you can consume packed with the most nutrients, raw cacao is your answer. Cacao powder has been enjoyed for centuries in the kitchen and as a health aide. It is believed to be the highest source of antioxidants of all foods and the highest source of magnesium of all foods – it even trumps dark chocolate when it comes to antioxidants provided offering 300 different chemical compounds with nearly 4 times the antioxidant power of dark chocolate. Cacao powder is also considered brain food because it contributes to cognitive function and the flow of blood to the brain – it improves heart health, stress and cholesterol levels and reduces inflammation. It is perfect for desserts, smoothies and even makes the cross-over easily to savory dishes. Cacao beans grow in cacao pods on the fruit tree known as “Theobroma Cacao.” When the pods are cracked open the cacao bean is released. The bean is then harvested, fermented (not always) and dried. In cacao powder the bean is still in its raw state – uncooked, unprocessed and additive free. It is unadulterated and is not as processed as traditional cocoa powder. 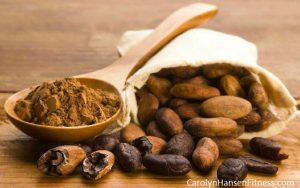 It is processed by cold-pressing (pressing the oil/cocoa butter out) unroasted cocoa beans which removes the fat but keeps the living enzymes active. Cocoa powder on the other hand has been roasted at high temperatures which changes the molecular structure of the bean and reduces the enzyme activity lowering the nutritional value. The fattest part of the cacao fruit is the cacao butter that lines the inside of the cacao bean. Offering a rich, buttery texture similar in taste and texture to white chocolate. Cacao powder is what remains of the fruit once the cacao butter is cold-pressed removed. It is the most important ingredient for making chocolate. An excellent source of nutrients, offering monounsaturated fats and cholesterol-free saturated fats. It also offers a wealth of vitamins, minerals, fiber, natural carbohydrates and protein. Cacao nibs are cacao beans that have been chopped into edible pieces similar to chocolate chips but with no added sugars or fats. They do contain the same wealth of nutrients, fiber and fat you find in cacao beans. 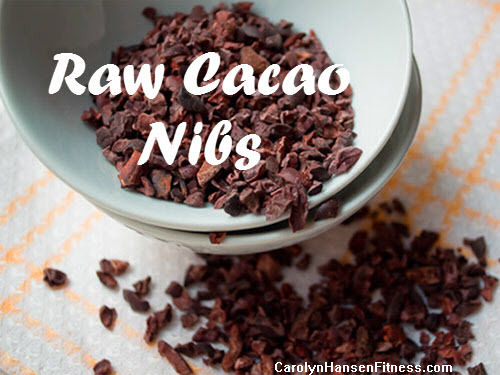 Nibs are just small bits of fermented, roasted, dried and crushed cacao bean. Offering an intense, non-sweet, chocolaty taste, they are very good for your health. Cacao nibs and cacao powder are becoming a healthy cook’s best friend and are showing up everywhere. The versatility of cacao nibs is one reason for their recent popularity. Similar to a macadamia nut in texture, cacao nibs are crunchy yet tender. If chocolate is already a favorite treat of yours, then you’ll likely fall in love with cacao nibs – even if their somewhat “bitter” taste takes a bit of getting used to. They are perfect as is just sprinkled on your favorite gluten and sugar free cupcakes or mixed into your favorite homemade granola. Isn’t it time to make every bite you take count! Shifting your lifestyle from one with destructive, disease inviting habits to one that embraces health and wards off disease doesn’t have to be as painful as some people believe especially when it comes to diet. Many people are under the misguided belief that their “sweet tooth” will suffer in this transition and because of that they stay locked into their unhealthy eating patterns and health destroying desserts. But the reality is, you don’t have to give up your sweet desserts and treats. You simply have to change your perception of desserts and treats and modify them to reflect healthier ingredients. What better way is there to make a lifestyle shift towards healthier eating and better health than with decadent raw desserts that are as healthy as they are delicious? Truth is, you can serve up delicious raw desserts, snacks and treats that are created from the healthiest foods on earth…those that Mother Nature provides us. When your desserts are made with real, whole, healthy ingredients that our bodies were designed to eat and process…those that provide anti-oxidants, vitamins, minerals, amino acids and enzymes what is there to feel “bad” or guilty about? You can replace your guilt with “joy of knowing” that you while your taste buds are getting a treat, your body is getting the gift of nutrition. Dried fruits and other natural sweeteners replace harmful white sugar, coconut and its oil replace butter, cream and eggs (avocados are often used to replace fat too) and ground nuts can be used to replace flour. The only things you eliminate are bloating, lethargy and guilt. In return you get energy and a feeling of lightness…and all the joy, goodness and satisfaction you want and expect from dessert. With a new perception we can appreciate desserts in a whole new way – raw and healthy. Raw desserts are a delight literally. They taste better than their counterparts and offer fresh dynamic “clean” flavors because they are created from real, whole healthy ingredients. Imagine throwing almonds, avocados, dates and cacao powder in a food processor and creating rich cream chocolate mousse. Or, how about serving up a slice of “cheesecake” that you’ve put together with healthy ingredients like fruits and nuts that could easily rival something in a gourmet bakery. 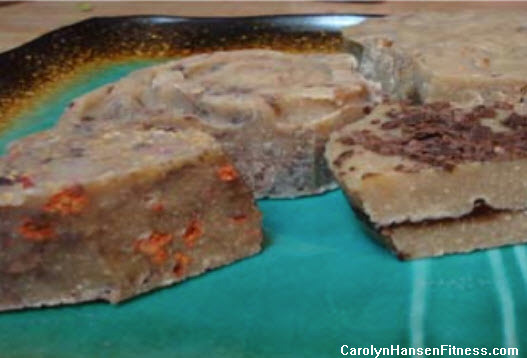 And, to make your raw desserts even healthier…try adding vegetables to them. Raw desserts offer more flexibility than their baked or cooked counterparts and eating them helps us to not only achieve ultimate health but it helps us to maintain a healthy weight. The negative impacts of chemicals in our food and our exposure to food allergens like wheat, dairy and gluten are eliminated. Next time you serve dessert, feel good about what you are serving. Try serving something made with raw healthy ingredients and watch as people’s face light up and they come back for seconds. Here’s a simple but delicious fudge recipe that’s sure to quench your sweet tooth and bring in rave reviews. Spread in a glass pie plate and chill in the freezer until firm. Without a doubt, vegetables boost the nutrient density of any meal or snack they are invited to. They are perfect in salads and mandatory as side-dishes and are the perfect finger food snack item adding texture, taste, color and flavor wherever or however they appear. They can be sweet or tangy, soft or crunchy, dressed up or plain, mixed with sauces or shining on their own and nature seems to have provided us with an endless variety to choose from. Do you view dessert as your enemy? Have you assigned a “damaging” title to it subconsciously? The crunchy but buttery textured, sweet pine nut is often overlooked in many people’s diets. Pine nuts are actually seeds that are collected from pine trees cultivated mainly in Europe and the US. Eaten for centuries, they were enjoyed by Roman soldiers and Spanish explorers alike who enjoyed snacking on them and they were ground into flour by American Indians. For the most part, pine nuts can be used wherever traditional tree nuts or peanuts are used. Often found in stir fry’s, they make the cross-over easily between savory and sweet dishes and are an excellent change from the “everyday nut.” Perfect sprinkled over both fruit and vegetable salads. They are popular in different sauces, especially pesto sauce and you’ll find them in granolas, cookies, chocolates and crunchy health bar creations as well as breads, cakes, biscuits, cookies, confectionery and ice cream items. You can purchase them at any local supermarket or health food store. This little nut is not in the same botanical category as tree nuts so many people that have nut allergies can tolerate pine nuts. However, there are people that react to both, so always be cautious and sensible. Most popular in countries where they are harvested, they are widely used in the US, Spain, Morocco and Italy and are called by a variety of names including pinon, pine kernel, pignoli, pignolia and Indian nut. Enjoyed raw or roasted, pine nuts feature a tough dark-brown outer coat or shell and have a sweet nutty flavor and crunchy texture. However, flavor isn’t the only reason people enjoy pine nuts. They offer amazing health benefits too. Offering similar healthy nutrients as other nuts including monounsaturated fats they provide a wealth of anti-aging antioxidants that combat free radicals (and help to control how fast you age) including vitamins A, B, C, and D. You’ll also get a nice boost of energy from the protein, magnesium and iron they offer. Offering similar healthy nutrients as other nuts including monounsaturated fats. They are a great source of healthy fats that help keep cholesterol and blood sugar levels down, protein (the building block of nearly every part of the body) and like almonds, pine nuts are an excellent source of vitamin E. They are healthy source of B-complex vitamins as well as minerals such as manganese, potassium, calcium, iron, magnesium, selenium and zinc. An added bonus is the fiber they provide. Just one serving of nuts provides around 20% of the recommended daily amount of fiber and they are great at suppressing feelings of hunger thanks to the hormone cholecystokinin. Because pine nuts are also gluten-free, they are a popular ingredient in gluten-free recipes that are gaining popularity. Pine nuts must be shelled first and eaten shortly after due to their high oil content (prone to rancidity). Unshelled nuts have a longer shelf life and can be stored safely for many months while shelled kernels deteriorate quickly once exposed to warm, humid air. Be sure to store them in airtight jars inside the refrigerator. You can find delicious raw dessert and treat recipes that feature healthy pine nuts in “Blended Bites” as well as a great variety of desserts and treat recipes that are not only gluten and sugar free but incorporate veggies into them as well.